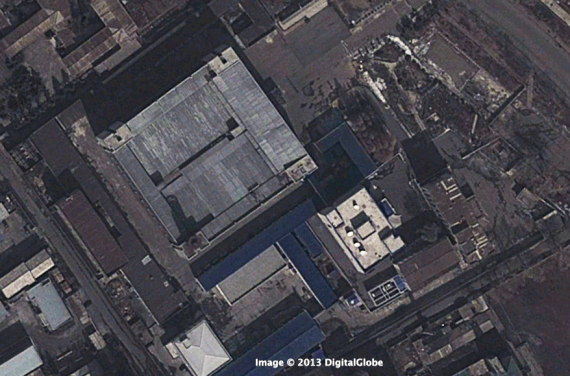 Korean Central Television, the DPRK’s main nationwide TV channel, appears to have received another technology upgrade. 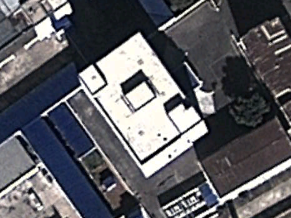 New satellite images uploaded to Google Earth show four satellite dishes on the roof of a building at the TV and radio broadcasting center. They weren’t there a few months ago. It’s interesting because previously the TV and radio broadcasting center didn’t appear to have any link with the rest of the world. At least, nothing direct it controlled. It’s quite possible that signals from overseas were downlinked somewhere else and supplied over cable to the building. Here’s the building as shown in a Google image from February 22 and, on the right, the same building on October 13, 2012. The dishes are the most visible indication to date of upgrades at the state-run broadcaster. In March last year the main 8pm evening news got a facelift with the use of computerized backdrops behind the presenters. For years, the evening news had used a basic backdrop of either a wooden wall or a painting of Pyongyang, so the computerized backdrops were a big change. Then, in September, the news got an even bigger change with a new set and new, Sony digital broadcasting equipment. The money for the upgrade came from China Central Television. 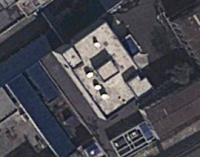 It’s impossible to tell what the dishes are pointed at — the pictures aren’t high enough resolution, they’re not from directly above and satellites are too closely positioned — but as an educated guess they could easily be pulling in the main Chinese, Japanese and South Korean channels. One might also be used to monitor KCTV’s output on the Thaicom-5 satellite or receive footage from the APTN or Reuters TV wire services. 1 Comment on "KCTV gets more connected"
would it be possible to use the shadows cast by the dishes compared to the shadows cast by buildings around to get an idea/estimate.